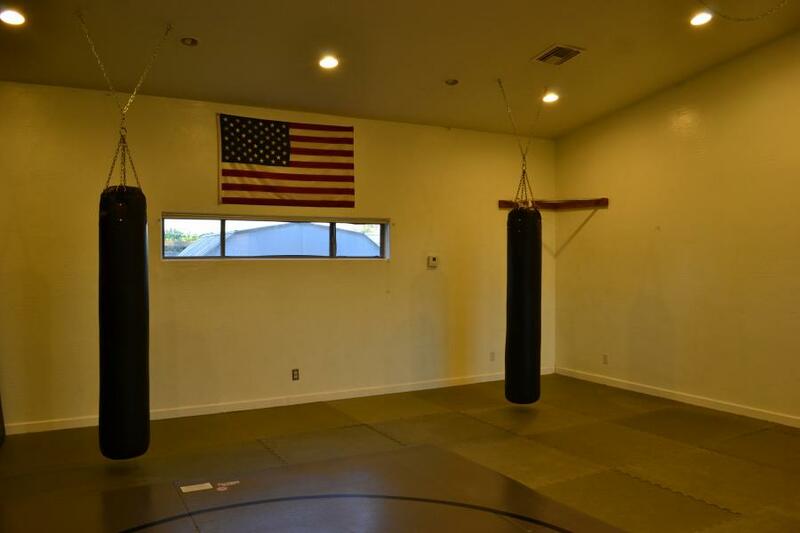 At Blind Tiger Martial Arts Academy we are focused on providing a fun and exciting environment for our students, while maintaining a traditional martial arts curriculum. 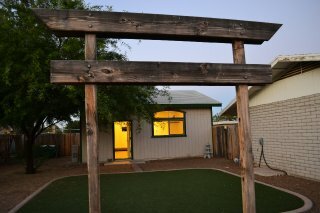 At our Dojo we teach Kyokushin Karate, Aiki-jujitsu, Goshindo/Chanbara (Samurai Sword), and Wu-Shu (aka Kung Fu). While an individual class may cover one or more of these styles we strive to maintain the styles traditions by teaching and testing the students for each style separately. 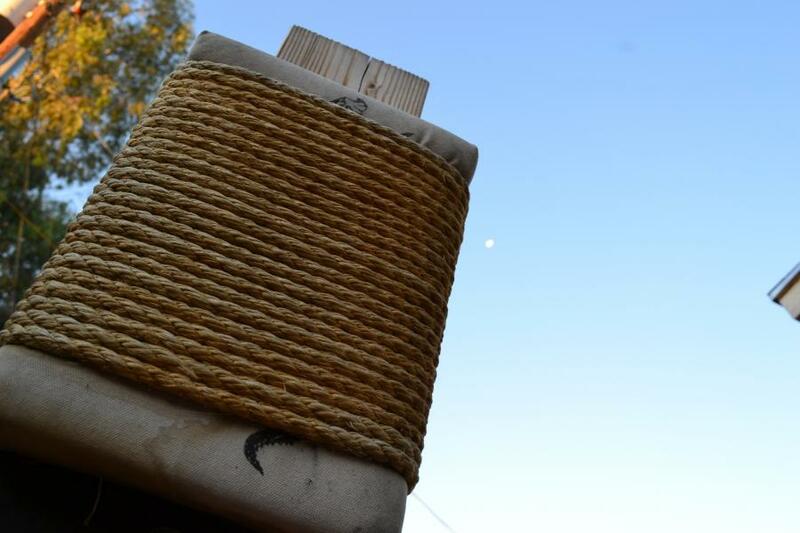 With our curriculum a student can focus on any one of the 4 curriculums we teach, although we hope after being exposed to them the student will form a strong desire to learn all of the martial arts styles we have to offer. 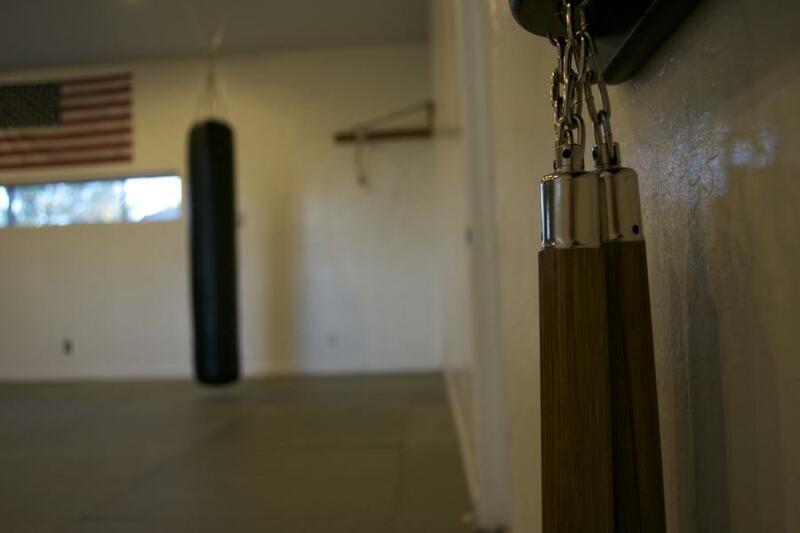 We believe through the training of Martial Arts we can help students not only get into the best shape of their life but also build their self confidence and discipline. 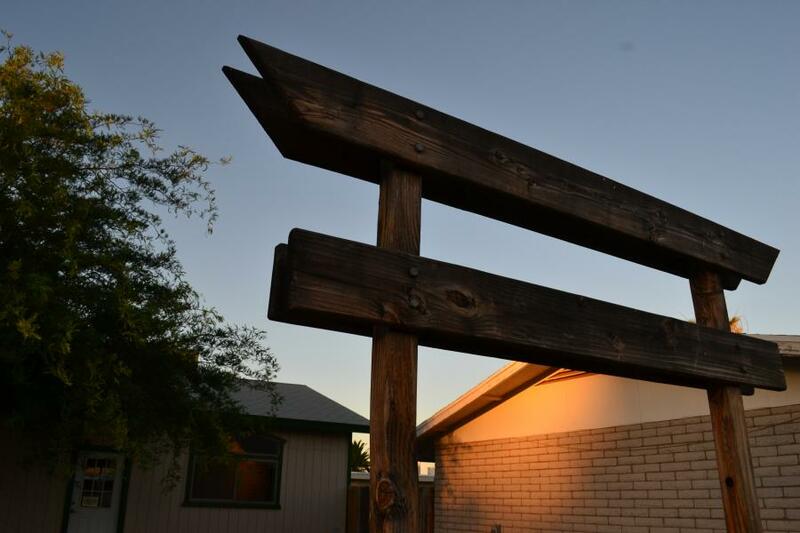 Our mission is to provide every student with the tools to become the person they want to be. 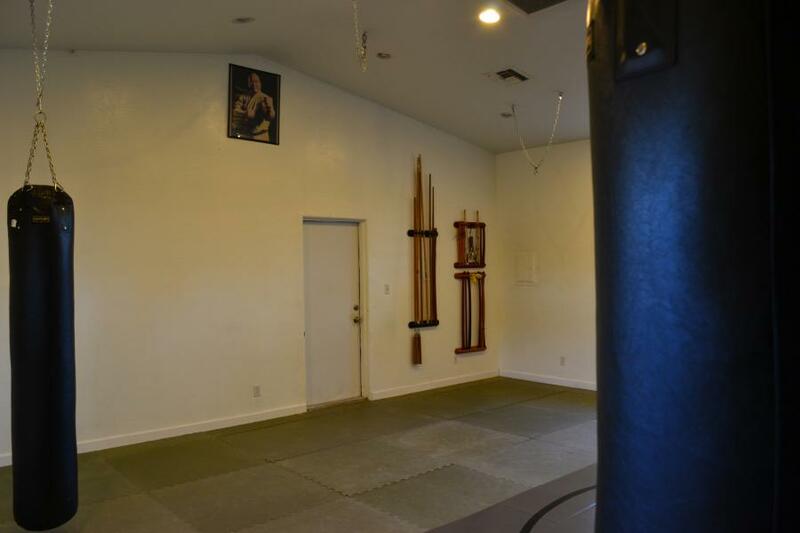 Blind Tiger Martial Arts Academy (originally Arizona Personal Protection Academy) was opened on April 28th, 2002 by Shihan Mike Armstrong. 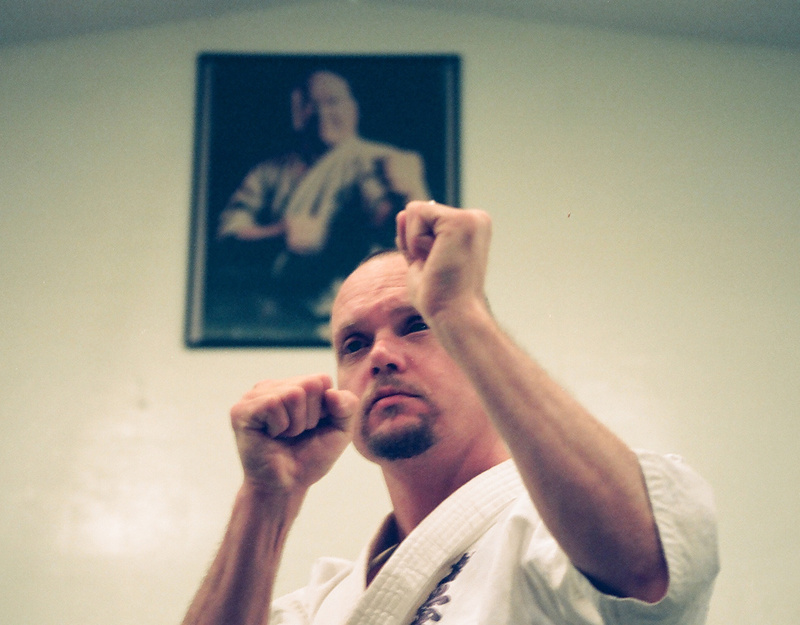 Shihan Mike has dedicated over 25 years to martial arts and has received numerous awards for not only his martial arts abilities but also his ability to inspire other; For Shihan Mike Armstrong is completely blind. At the age of 26 Shihan Mike who was already a martial arts instructor, lost his eyesight due to a hereditary disease. Before losing his sight Sensei Mike was warned by his doctors to STOP practicing martial arts, but Sensei Mike’s passion for the martial arts would never let him stop. Shihan Mike continued to teach and practice martial arts, and eventually he lost his eyesight completely. 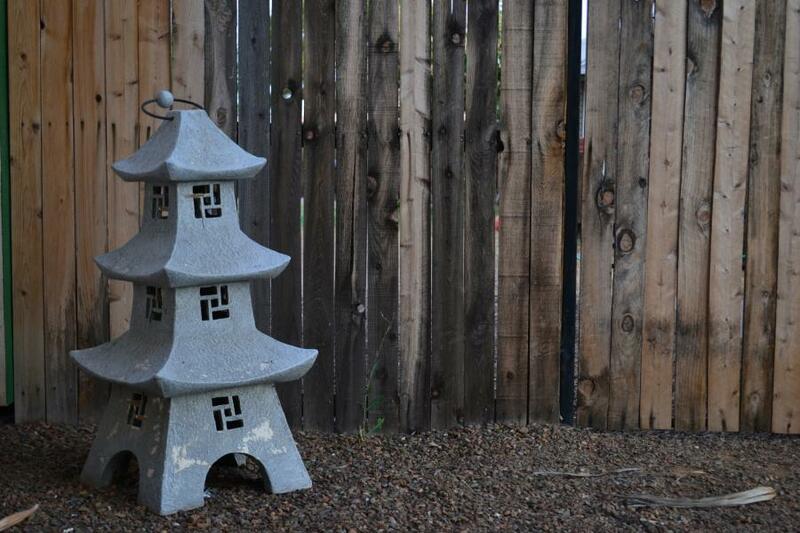 It is not known whether or not the Martial Arts was a contributing factor but Sensei Mike has no regrets. The discipline and determination that Sensei Mike has formed through his practice of Martial Arts has helped him not only adjust to the loss of his sight, but also overcome challenges any sighted man would have difficulty with. 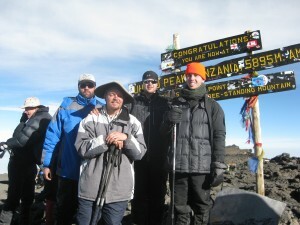 Outside of teaching martial arts Sensei Mike Armstrong is a professional drummer and adventurer. In the recent years he has summited Mt. 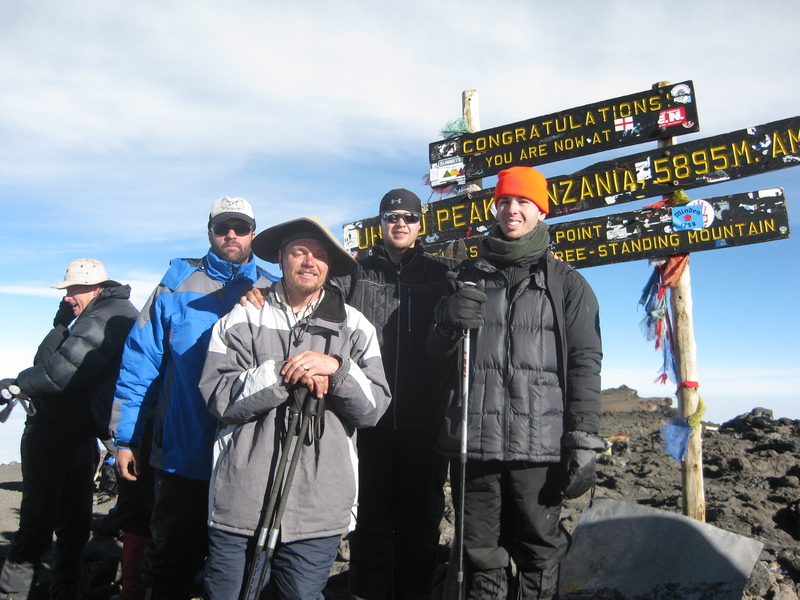 Kilimanjaro the tallest mountain in Africa, participated in the World Team Sports Adventure Challenge, and has become the only Blind man to hike the Arizona trail a 807 mile trail that took 57 days to complete. 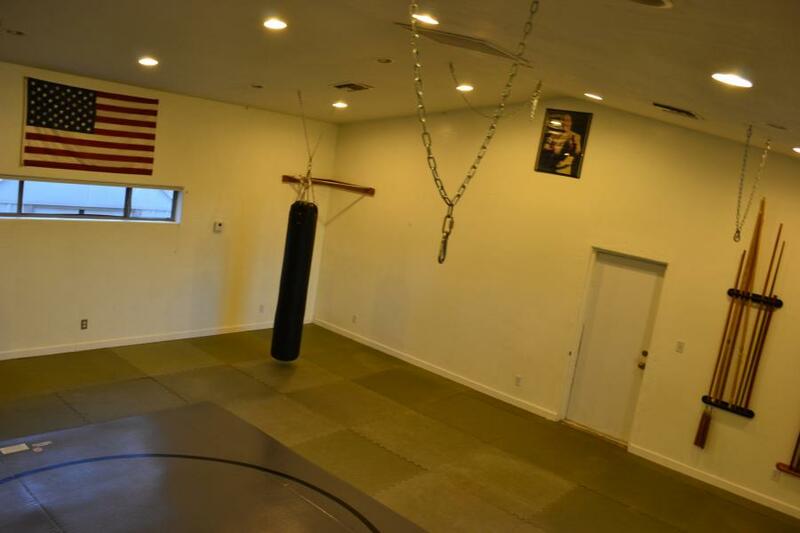 Sensei Mikes passion for the martial arts started at a young age, but it wasn’t until 1985 Sensei Mike was able to dedicated himself to the martial arts. 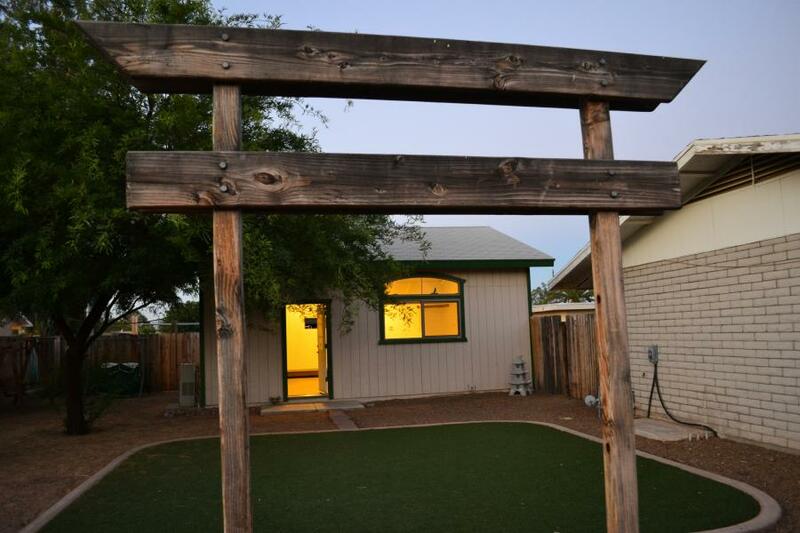 He started studying the Chinese martial art of Kenpo at Bernstein’s House of Karate and became a Student Instructor. 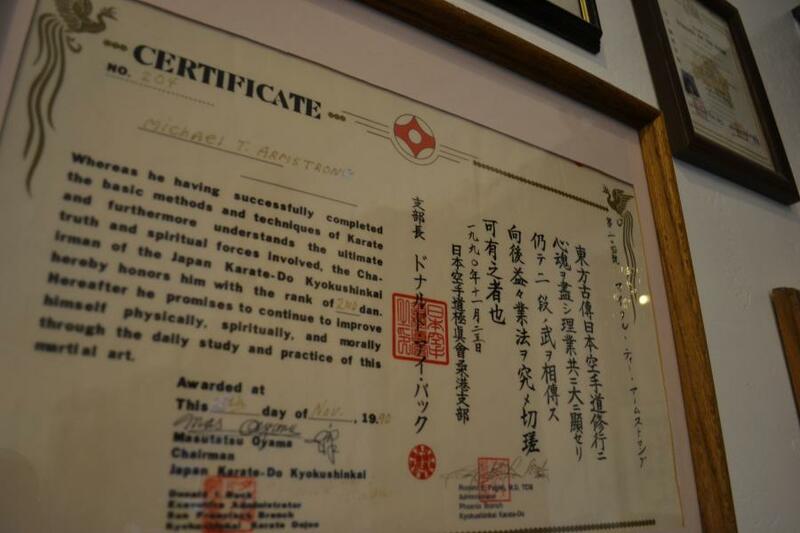 In 1986 Sensei Mike started researching other styles of martial arts and begin studying Kyokushin-Kai under Kancho Ron Fugiel. Kancho Fugiel tought a mixture of Kyokushin-Kai Karate, Jujitsu, Kung Fu, and Fuji Ki. Within the last 25 years Kancho Fugiel has introduced Sensei Mike to many master martial artists and has promoted him to a Shihan (Master Instructor). In 2003 Sensei Mike started training with Hanshi Fred Buck the President of The American Kyokushin Karate Organization and officially holds the rank of Godan (5th Degree Blackbelt). In working with Hanshi Fred Buck, Sensei Mike Armstrong has also earned his Aiki-Jujitsu Nidan (2nd Degree Blackbelt) under Aiki-Jujitsu of America.